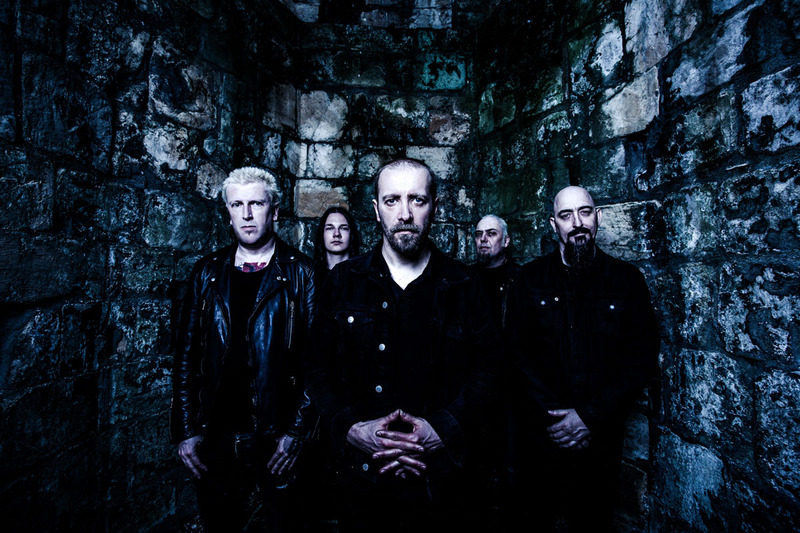 Antihero Magazine‘s Mark Dean had the opportunity to chat with Nick Holmes, frontman for British Gothic metal/Doom metal band Paradise Lost and Swedish death metal band Bloodbath. ANTIHERO: Medusa, your new album, is the 15th of your career. How would you attempt to explain the band’s longevity? Nick Holmes: At this point, there’s little else we could probably do, we’ve been doing it such a long time. We love what we do and we’ve never really got sick of doing it. I guess and as long as other people want to hear it, then it all kind of fits into place, I suppose. So yeah, it doesn’t seem like nearly 30 years, but yeah, it’s quite a long time. ANTIHERO: The term “innovators” has often been applied to the band. Do you feel that’s an accurate description? 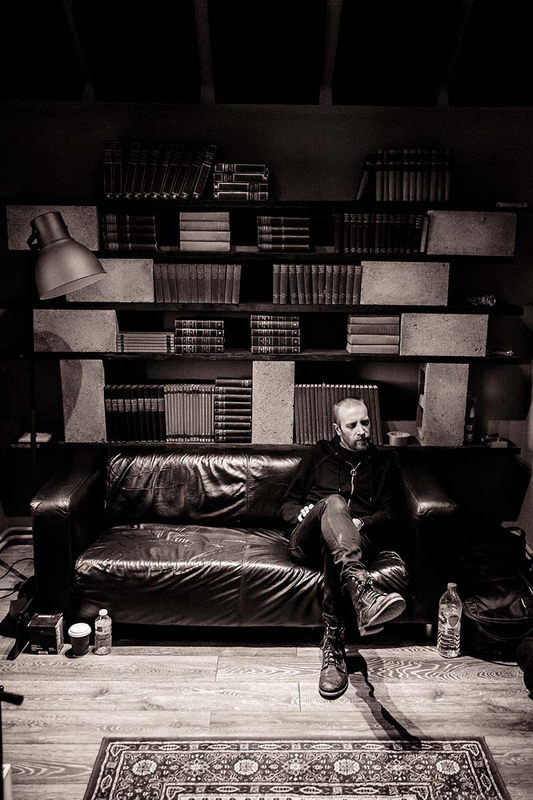 Nick Holmes: When we did the Gothic album we made a conscious effort to try and do the death metal in a different way to everyone else and we combined it with a kind of Sisters of Mercy vibe, I guess the Goth vibe. I guess no one else has ever done that before, so I suppose in that instance we were. We’ve always wanted to try and do something a little bit different to everyone else, and in the style that Greg plays the guitar is very different to other people, I could tell straight away it was him playing. It gets boring when everyone copies everyone else and it’s nice to do something a bit different I suppose. ANTIHERO: Do you think that keeps it fresh, the fact that your sound has been changing and evolving? It keeps it challenging for fans because they never know what they’re going to get. Nick Holmes: I suppose so. I mean the last 10 years we really haven’t wandered too far off. I think probably around the Host album era, the late 90s I think it was, obviously that was probably the toughest area; it was a strange sort of time for the band, but yeah, we never wandered too far. But as I say, you know, me and Greg have always written the songs, so there’s always a common thing with everything. The songwriting is very similar even if the sounds are different; it’s a very similar kind of style of writing, I think. ANTIHERO: How do you view your own musical legacy? Is it something that you go back and revisit those old albums in your own house, or do you prefer to focus on what’s ahead rather than what’s behind? Nick Holmes: I just think about what’s ahead really. Each album is very much a flash of… it’s like a benchmark for where we were at that time, and with that said, I don’t really regret anything we’ve done because at the time it made sense and it’s where we wanted to be at the time. But I mean for me personally, it’s always about moving forward, I don’t really… you know, I can look back at certain things with fondness but we’ve never stopped doing the band so we have no… it’s hard to go and look back in retrospect because we were still going forward and we’re still going. When the band finishes I guess then we’ll look back and think, okay this period was good, this time was good, blah blah, but we’re still going, we’re still going ahead, so it’s about moving forward for me. ANTIHERO: What about in terms of writing lyrics?You seem to get your inspiration from a wide variety of sources. Nick Holmes: I mean for me it’s just about… I write exactly the same kind of topics I did when I was a kid but I just do them from a kind of old perspective now.You can look at things you believed in as a teenager and my beliefs haven’t really changed that much to be honest; I still don’t believe in god.I accept when things sometimes go wrong and your acceptance is a lot… I’m a lot more mature about things now, if things go wrong, I think “okay, well you can deal with it better as an older person.” But I think the kind of horror that goes on in the world is complete proof that there’s no such thing as god.There’s no way anyone would allow such horrible things to happen I think, if there’s some almighty force looking after us all apparently. ANTIHERO: I read somewhere that there had been plans at one time to do like a crowd-funding campaign to make Host Part 2. How do you feel generally on those sorts of campaigns, where you’re asking fans to contribute in advance? Nick Holmes: It’s quite a good idea. I’ve got friends who have been in bands and there’s an incredible amount of work involved in it. For any fans that think “oh it’s a bit of a cash dinner”, it’s not that simple, there is a hell of a lot of work involved in it and especially if you haven’t got a management or you’re doing it all yourself. I know speaking from my friend who does it and his band, there’s massive work involved. I could see it kind of cuts out anyone else. It’s like from you directly to the fans, so I can see in that perspective. But if it’s a case of you’d be doing one to one with fans that’s great, it’s just you want to make sure that no one else is going to stick their hand in. But like I said, I think there’s a lot more work involved than people actually think. ANTIHERO: Medusa is the bands 15th album. How do you compose sets before you go out on tour? That must get increasingly difficult. Nick Holmes: It’s pretty tough. We did like a massive poll and we wanted to see which songs people would want to hear live because there’s certain songs that if you don’t play people don’t understand why you’re not playing it. Like a song like “Say These Words”, for example. I don’t personally mind if we never play that song again, I’ve played it about a thousand times. I still think it’s a good song, but I don’t need to play it anymore. But it’s a good song and it’s a good ending to the set, and I guess people want to hear it so we’ve got to kind of do it. When we did the poll and everyone chose the songs that we do pretty much on stage anyway, so it was kind of a strange thing because people always say, “oh play this song or that song”, that’s kind of a rare song. With the last couple of tours, we’re just going to probably predominantly do the new album, we’re going to do a lot of songs from the new album which is what we did last time and then we’re just going to fill up the rest of the set with a “best off set”. Hopefully this time we’ll do some we haven’t done for quite a few years as well, but yeah it is hard. We’ve done like 140 songs or something. ANTIHERO: I mean obviously there’s less known ones; “Sound Fading” or “Last Regret” to name but two. Nick Holmes: Yeah, Last Regret is a great song. That’s probably one of my favourite songs but it’s kind of hard to pull it off live sometimes because there’s a kind of really quiet bit in the middle and you lose the atmosphere a little bit in a gig. If you’re maybe on a bigger stage you could invite guest musicians to do the keyboards, etc., but we’re not massive on backing tracks now. We’ve done a lot of that stuff and we still do use it on some songs, but I’d rather keep people playing as much as possible on this tour. ANTIHERO: Obviously, you will be going out once the album is released to promote the album. I just wondered then how that relates to Bloodbath. Will you still be doing stuff with them or is that on the back burner? 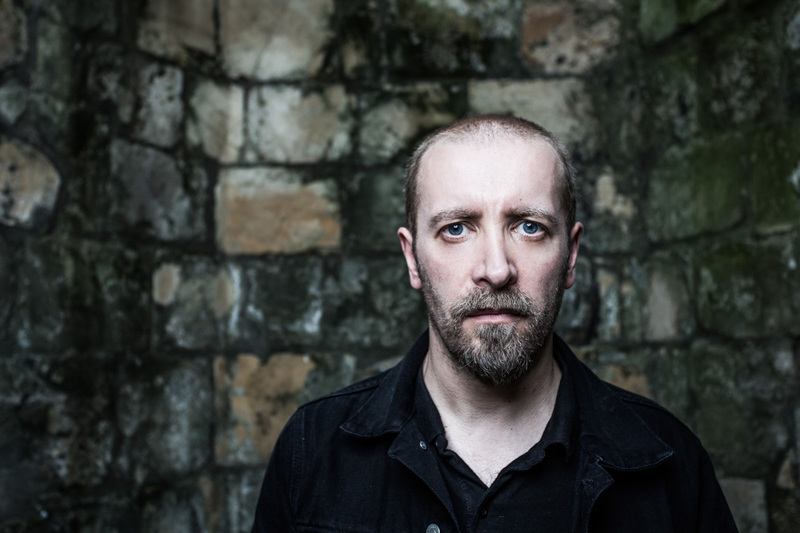 Nick Holmes: We fit in Bloodbath when our respective bands can fit it in.I mean, this weekend I’ve got a Paradise Lost show, Bloodbath show, then another Paradise Lost show, next week is Bloodbath, then Paradise Lost.Yeah, we’re supposedly going to work on a new album. I’m not massively involved in that element, that’s very much the guys; they write three songs each and I can then just throw in some ideas as well, but I’m not massively involved in that aspect of it.Well, I certainly wasn’t in the last one, but we’ll see how it goes. But we’re looking at doing an album in maybe February.Yeah, as I speak I guess the other guys are cracking on it.But yeah, it’s really time consuming doing two bands, I don’t know how people do more than two bands. I’ve got a lot of friends who are in many bands and I just don’t know how they find the time, honestly.Just doing one more band just takes up way more of my time than I ever thought it would do, but it’s good, we all enjoy doing it and it’s fun and if we can fit it in then we do. ANTIHERO: Did your experiences working with Bloodbath and Vallenfyre affect how you approached the Paradise Lost album? 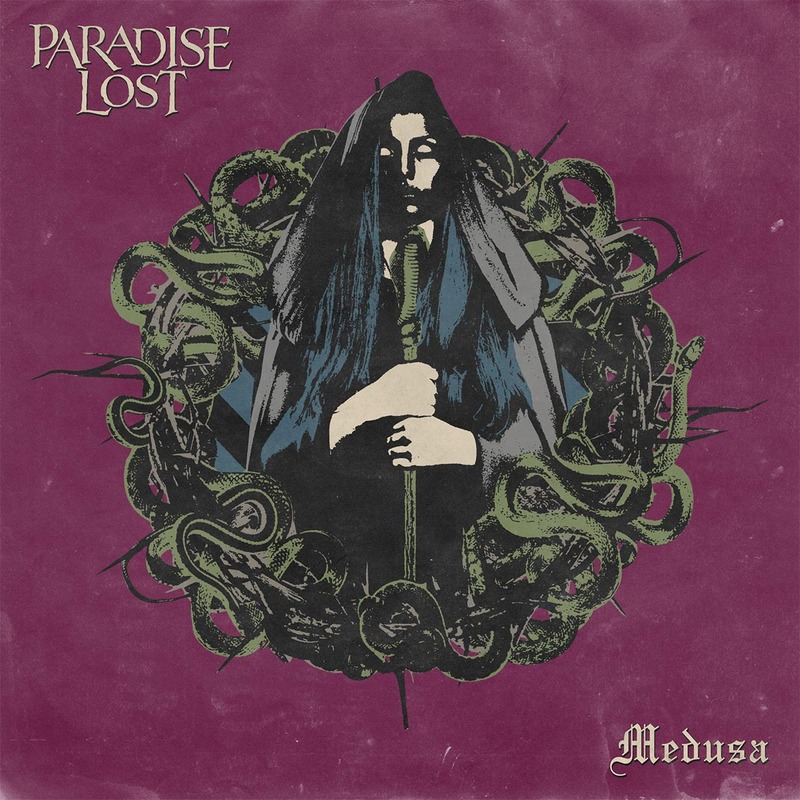 Basically, do you have to adopt a Paradise Lost mindset for doing the Paradise Lost album? Nick Holmes: I think it kind of got me back into the death metal vibe a little bit. I reckon I got out of that for a very long time, it’s something that I just felt… you could never say never about anything, but it just was a style of music that I just wasn’t particularly interested in for a very long time. But then it kind of got me back into it again and I remembered what I liked about it in the first place and I think I just got a bit too picky with it really. There weren’t enough bands doing stuff that interested me and I think the black metal scene I always find it a bit more interesting than the death metal scene to be honest; the kind of darkness in it and the imagery, I always found it more interesting and more appealing. Greg kind of got heavily back into death metal about five or six years ago and that’s rubbed off on him big time and you can hear that on the new album. But yeah, it’s something we massively were passionate about when we were teenagers and I guess those days are with you all your life really, even if you shelf them for a while you’re going to go back to them at some point. ANTIHERO: Even in terms of vocals your style obviously has changed on the new album, it’s getting more, like you said, back to that sort of death metal kind of sound. Nick Holmes: Yeah, totally, but it’s the voices, it’s what suits the riffs. 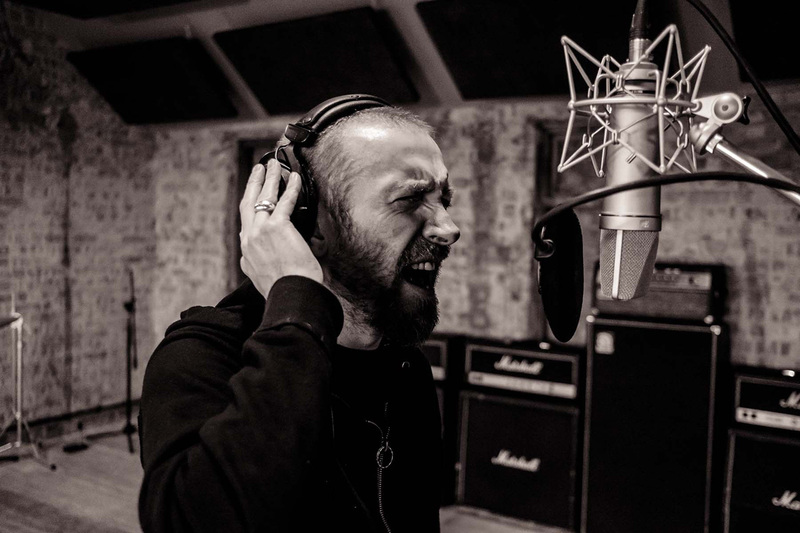 I try every single style of voice I do over the years, I try it on every song we’ve written for this new album and the death metal voice always sounds the best and it has the most power. Because I’m just reading comments on Facebook now, people are saying, “oh they don’t like the growl”, but any other voice does not sound right on these songs. It feels right to do the kind of clean croony kind of voice and I like that voice as well, and we’ll do it. But on the whole, every song we did it just didn’t sound as good with any other kind of voice; as simple as that. ANTIHERO: Do you find it more difficult having to perform live in that style as the years go on? Nick Holmes: No, I find that voice probably one of the easiest sounds to do actually. I can emulate the album pretty well. Singing the Bloodbath stuff is so insane and so fast, it’s like jumping in the deep end doing that stuff live; it’s very different to Paradise Lost, but I can do a concert and it doesn’t kill me. But I had a different style to when I was younger, I do it differently and I sound a bit different to when I was younger as well, but I guess your voice changes. But I think the kind of higher range stuff is always tough to do live, I’ve always found the higher stuff hard to do. ANTIHERO: Regarding “Sell it to the World” which was re-released, what prompted that decision? Was it a label decision or something that the band have decided to do? Nick Holmes: Gomez who did our new album, he’s actually remixed the whole of the album, so that’s the one that he took off it first; I think that’s one of the first songs he did from it. But he’s actually remixed the whole album, we’re leaving nothing, so he actually sent the final thing through today actually for the first time. But “Sell it to the World” was the first thing he did so we were kind of just testing the water for how it sounded. But we were always a little bit overwhelmed with the final mix on that album. I think there’s some good songs on there, but it was always a little bit flat I thought, the mix. So, it’s probably the only album we’ve ever done where we actually did feel a little bit like that when we got the final thing so it’s kind of nice to hear a bit more vibrancy to it. ANTIHERO: Do you have any plans to go back and maybe redo any of your earlier albums? Nick Holmes: No, not really. I would have always thought it would be nice to kind of do hosting and modern context but there again the singing is what it is, you couldn’t really sing those songs in any other style; I don’t think it would work. We just re-recorded the song “Frozen Illusion” which is one of the first songs we ever wrote and it works pretty well actually, maybe the odd song here and there but other than full albums they’re very much done. They sound like they did because that’s what we were like at the time so it’s kind of best to just maybe leave things where they are. ANTIHERO: Any views on maybe making a concept album? Nick Holmes: I’ve always loved the idea of it, I’ve always wanted to do it but I just wouldn’t want it to be… it could be incredibly time consuming. Yeah, I’ve always thought about it and I think every album I always mentioned it, but it always falls by the wayside. But yeah, I guess if you can create a song around a specific point in a story it’s always something that’s fascinated me. Obviously, Operation Mindcrime being a kind of high point of a concept album. But I wouldn’t say it’s out of the question, but I wouldn’t say anything is out of the question. There’s many things we’ve said we would never do that we’ve done, so you could never say never. ANTIHERO: Who would you like to interview, even outside of music? If you could disregard maybe musical heroes and just maybe focus on somebody that’s been a personal inspiration or hero to you through your life. Nick Holmes: I would have liked to have interviewed Rik Mayall, but unfortunately, I’m not going to have that chance anymore. I think from a personality point of view of sense of humour, and growing up as a kid, I think Rik Mayall was the most inspirational person for me as a teenager. The whole “Young Ones” scene had a massive impact on my life, the same with the “Blackadder”, the same with Rowan Atkinson as well, I think. Those guys were like… outside of music they kind of molded my entire personality as a teenager, so I think those guys are very… it’s kind of unbelievable the impact that especially the “Young Ones” had on people my age. I was about 13/14 when that came out and it was like the entire school was just obsessed with this whole thing, so I don’t think kids nowadays have that, they don’t really have that anymore. I think Rik Mayall had a huge impact on especially my generation’s lives and when he died I was absolutely beside myself, I was so upset about it, it’s such a shame. Anyone alive I don’t know, I can’t think off the top of my head, maybe Michael Parkinson, I don’t know. ANTIHERO: Outside of music how do you unwind, how do you relax? Nick Holmes: At the moment, I don’t do anything outside music. I do cycling, running, I like to try and stay fit but the last kind of six months I haven’t done anything outside music. I love films, I love TV, I watch so many new movies and I watch hundreds of movies a year, so I’m a big fan of box sets and all of the big American TV shows; I’m a big fan of all that stuff. ANTIHERO: So, what’s next then in the rest of the year for Paradise Lost?You’ve got the album released and then obviously tour dates. Nick Holmes: Yeah, we’re busy with touring right up until Christmas.Well, the last few months we’ve been super busy, but yeah it will continue now and we’re playing in Dubai in a couple of weeks which we’ve never played there before, so I’m looking forward to going there.But yeah, other than that we’ve got a big European tour very similar to what we did last time and then we’ll maybe look at doing something in America next year and do a UK tour as well next year.So yeah, the coming year is going to be a pretty busy one I guess. ANTIHERO: Never stops even after nearly 30 years. Nick Holmes: Yeah, well you’ve got to do it, you’ve got to be in it to win it, I guess, that’s the thing. ANTIHERO: And it’s more difficult these days to sustain a living unless you’re putting the work in. Nick Holmes: Well yeah, you’ve got to get out there. Like I say, the footballers are the new rock stars now aren’t they; that’s the thing. Nick Holmes: Well they do very little and they get paid well basically, so yeah. Being in a band now, you really have to work for a living. ANTIHERO: Certainly. That’s great, thank you very much! Nick Holmes: Yeah, cheers man!